Contrasting things this month – a small personal story; and two examples of inspiring courage from terrible personal tragedy. First the small personal story. No details because they’re not mine to tell, but I think the lesson I learned is. I inadvertently upset a good friend (and former work colleague) last week. She told me about an incident that had happened to her at work and (I thought) asked my view about it. I didn’t agree with her take on something quite important to me, but she was sure she was right about it. I went away and read up and around the subject, and was convinced my interpretation was correct. So I emailed her explaining why and with some information I thought she might find useful. In essence what I was telling her was that I believed I was right and she was wrong. Thank goodness she had the courage to write back to me saying how upset she was to get my email. Because it turned out, I realised, that actually she had told me about the incident asking for reassurance and comfort, not for advice. By responding in a calm, lawyerly, academic way, I had inadvertently failed to hear what she was really telling me: that she needed a bit of tlc. I was able to get back to her swiftly, apologising and explaining where I had come from (it happened to be a subject that meant a lot to me, and I was worried and upset by her interpretation of it). She replied explaining what I had already figured out: that she was in a fragile emotional state and hadn’t been ready to hear my initial response. We’ve made a good job of patching up the damage through caring enough to listen and apologise; through recognising our own frailties and weaknesses; and through hearing what the heart was feeling as well as what the head was saying. The inspiring stories came in the wake of the death of Martin McGuiness. I heard two powerful radio interviews: one with Jo Berry (whose MP father was killed in the 1984 IRA Brighton bombing – her subsequent experiences led her to found Building Bridges for Peace); the other with Martin Parry (whose son Tim died in the 1993 IRA Warrington bombing) – experience led him to help set up Foundation4peace. Both inspirationally positive responses to the most terrible events in their lives. These days it sometimes feels as though we have to hold two opposing ideas of the future in our heads at the same time, and somehow work through both. There’s the Hard Brexit future, which frankly I fear for all sorts of reasons, not least of all the prospect, looming ever larger, of this being the stimulus for the UK breaking apart. How to prepare for what that future might hold for us without sinking into despair? I’ve been revisiting some of the things I’ve read over the years about permaculture and the Transition movement, mainly because (with shared roots) they both have an inspiring positivity, and a great way of working creatively with ‘problems’ to make something good. For me, part of that preparation is about seeing and seizing whatever opportunities come my way for a positive outcome rather than the negative one I fear. Just looking at our food for now, Hard Brexit seems to carry major challenges for farming, food production and food supplies. But maybe there are also opportunities in there as well, for us to be forced to straighten out the mess that is our national food (in)security. 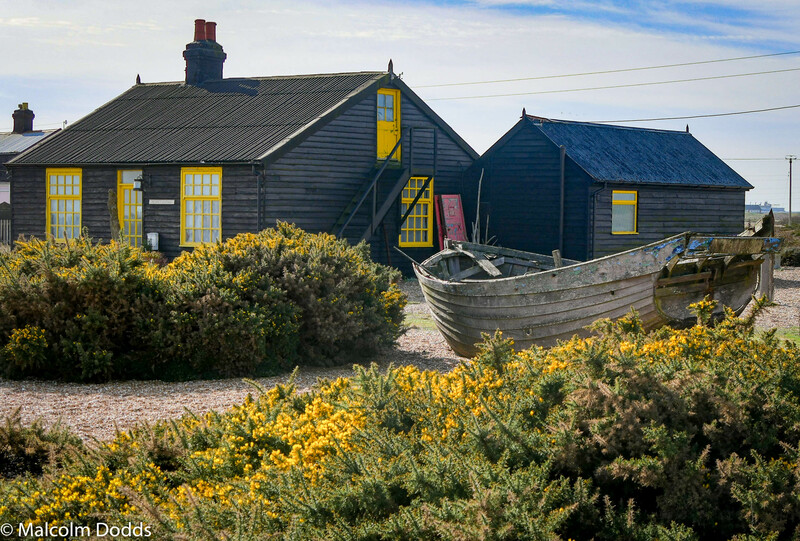 This train of thought was sparked when we recently visited Dungeness. I was fascinated to watch some day-boat fishers come in with their catch. 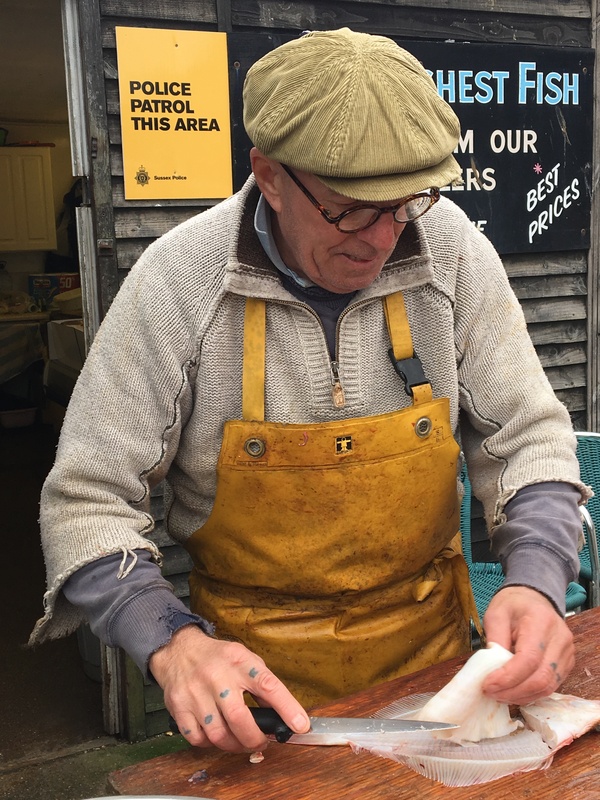 I chatted with one of them as he unloaded sack after sack of whelks. I asked if there was a market for them locally. “Oh no”, he replied. “No-one wants them here. These are all off to Korea – they can’t get enough of them!”. 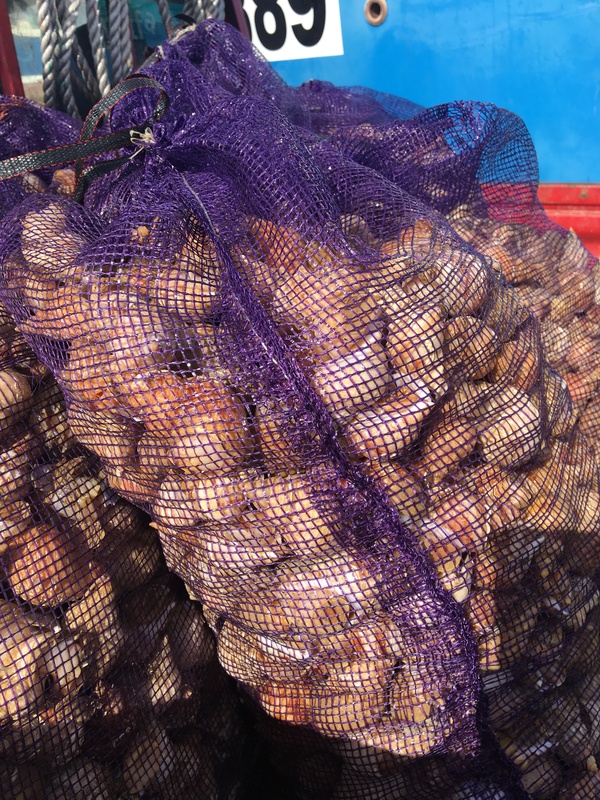 Now I don’t know whether or not I’d enjoy eating whelks, but it does seem the height of a crazy system when we harvest a sustainable, local crop like this and then send it half way around the world to be eaten. ; whilst at the same time importing products from half way around the world. As ever, it’s important to check out the credibility and reliability of our information. I began with a Guardian article by Professor Tim Lang, someone I’ve been listening to with interest for decades now. He knows his stuff, and his stuff is food reliability, food security, food production, food statistics. The article was written just a week or so after the referendum last June. He says that in the UK we produce only about 50% of our food. 30% of what we eat is currently imported from the EU. 38% of the labour force in UK food production is foreign-born (and that I think includes the labour forces in both food growing and food manufacturing). The money from food is syphoned away from primary producers. Of the £201bn we spend on food annually, agriculture’s gross added value is £9bn, manufacturing adds £27bn, wholesalers £12bn, catering £29bn and retailing £30bn. This is a long-chain, unequal distribution system. Almost as unequal as the diets of rich and poor consumers in the UK, the running sore of UK food politics. In other words, only tiny proportion goes to the growers. Three times as much goes to manufacturers, and slightly more than that to retailers. None of this is simple. We export a lot of food (both products and raw materials), and we import far more than we export. A lot of the food that is manufactured in the UK (and then exported) relies on imported raw ingredients. But I think there are some useful things most of us can do to TAKE CONTROL of our food. Like me, you’re probably already doing some or even all of them. try to reduce the length of that food chain by (a) buying products as close to their origins as possible (ie buy unprocessed rather than heavily processed), and (b) buying as close to the grower or producer as possible (ie buy direct and/or local where possible). 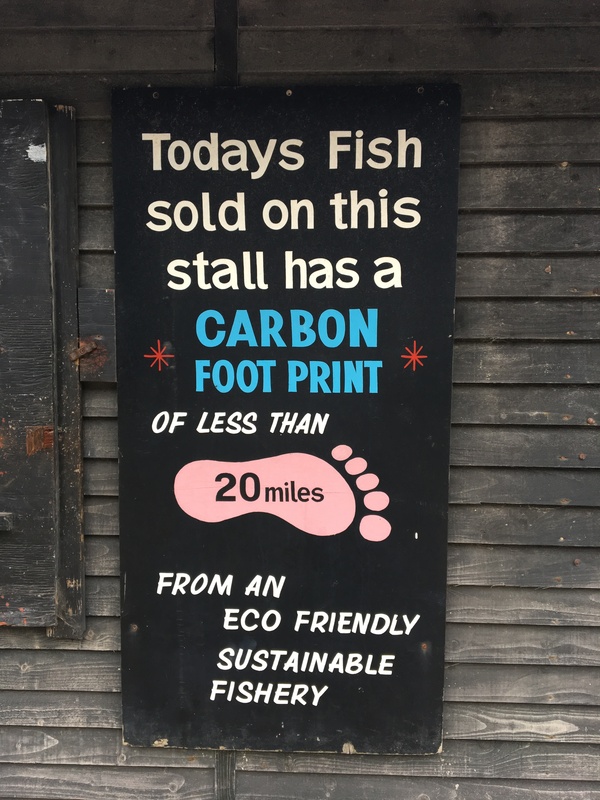 By doing this we help support UK and local farmers and producers, and we reduce the oil miles incurred. reduce the amount we need to import by eating seasonally, and by buying local where possible. Same beneficial effects as above. reduce the amount we waste by accepting ‘wonky’ fruit and vegetables, using up all leftovers, using what we already have before buying more, and finding uses for what would otherwise be thrown ‘away’. By doing this we help reduce the amount of food needed to be produced. reduce your waste still further by giving away food you know you won’t be able to use yourself – to neighbours, friends, or strangers. By doing this we help reduce waste (which all costs money to take away and deal with), and we help build and strengthen our communities. Today’s catch. 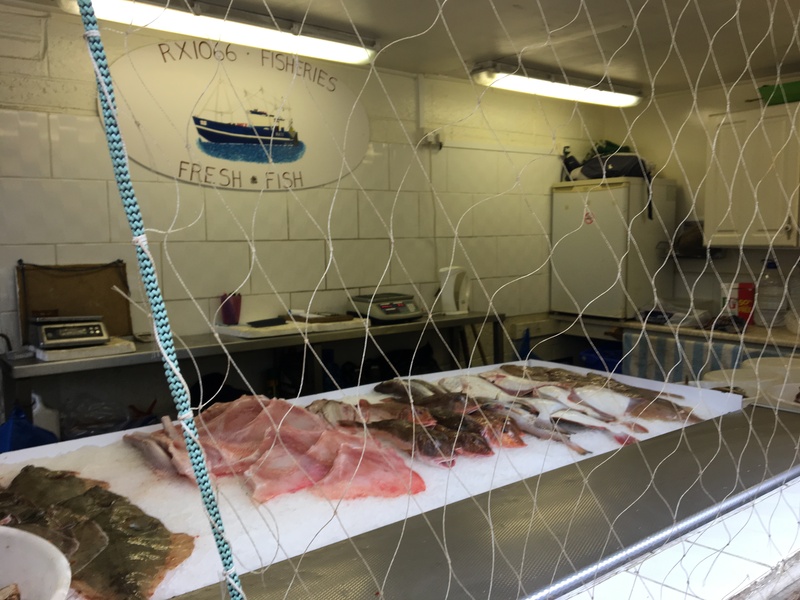 The netting is to keep the gulls off the fish. if we all buy locally, there won’t be enough. Will that spur on more local growers, knowing there is a ready market on their doorstep? if we all buy locally, who will be willing to pick the produce if the foreign workers on whom we currently rely are no longer able to come here? Will that support higher wages that local people can afford to work for? if we all buy raw ingredients, what will happen to the jobs of people working in food manufacturing? I know – more questions than answers, but as always we have to start somewhere, and doing the things I suggest above will at least help us to…. This has been a busy month what with one thing and another. At the Farm, we’ve been busy reviewing our policies and procedures – dull stuff to some perhaps, but the academic and legal side of my brain enjoys all that, so I’ve got stuck into several areas of the work. Putting together Action Plans, spreadsheets, and proposals all tap into the kind of work I did before I retired, and helps take some of the load off our over-stretched staff. Much more fun for all was the Bath Half Marathon earlier this month. With more than 12,500 runners, and taking place right through and around the heart of our city, this is the largest such event in the SW of England. The Family Fun Run alongside it had almost 1,000 participants. All in all it’s a massive affair, which needs massive community support and event planning to enable it to happen, and happen safely. The Bath Half also raises a substantial amount of money for charities, many of them local. 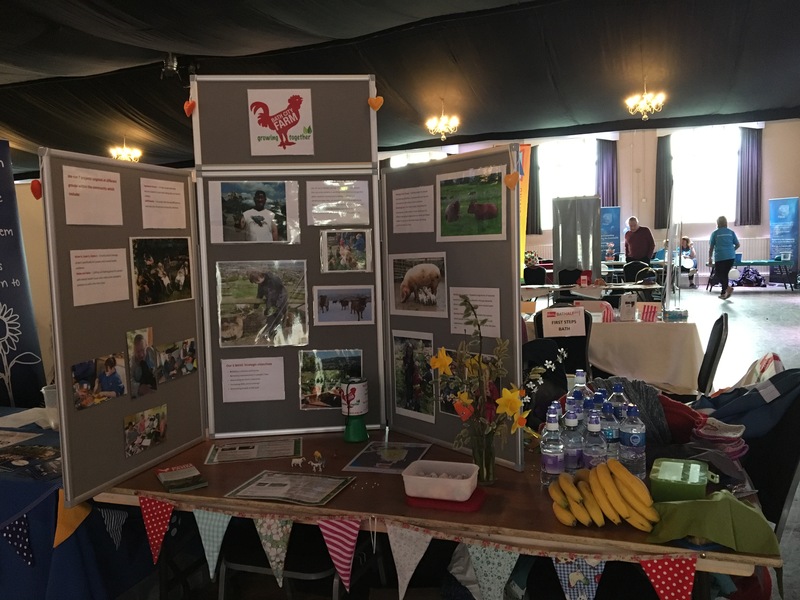 Bath City Farm had 12 runners, between them they raised over £3,000 for us – money we can spend on some of the background work needed to provide the many services we provide. I spent most of the morning staffing our stall in the Small Charities area, looking after our runners’ belongings for them, providing information for browsers, and looking after the bananas and home-baked cakes ready for the runners on their return (and working on my current crochet project in the quiet moments). Malcolm was a Cycle Steward, patrolling his stretch of the route with his hi-viz vest and whistle. In fact he ended up helping look after one of a number of people who collapsed in the last mile – fortunately no lasting harm to anyone. The Bath Half is a great community event. So many of us turn out to support and cheer on the runners and to play some small part in the support team. It also brings a lot of trade into the city, so it’s a great economic boost as well. One of the best things about the Bath Half? Almost a whole day with no traffic in the centre of the city or in the approach roads. No noise. No noxious fumes. A tiny taste of what our city could be like if we had a council willing to ‘join the dots’ and see the connections between public health and transport policies and practice. And of course March is the real start of the growing season. I’ve sown some seeds (which are germinating – hurrah!). I’m chitting my seed potatoes. I’ve planted out the rest of my onion sets. And I persuaded Malcolm and younger son to spend today building my badger defences with me. I’m delighted with the result – just what I wanted, and not a penny spent on materials. Everything we used apart from the screws and staples is in it’s second or even third life. We’ll see just how effective it proves to be. All it needs now is a bit of beautification – I have plans for a climbing rose, some bunting, and a few other embellishments. Watch this space! I also have plans for a ‘new’ shed, donated by an allotment neighbour who’s getting a brand new one as a retirement gift. My family all think I’ve been had – as d-in-l put it, “can it really be described as a shed if it needs a new base, a new roof, and some of the walls need attention?”. But I’m confident it will be fine, and I have a vision of something inspired by Derek Jarman’s beach hut on Dungeness – think dark black painted shed with gorse-flower-yellow trims. With something growing over it – a kiwi maybe? Do let me know how it went if you’ve tried growing a kiwi in the UK – I’m torn between wanting to give it a go, and worrying it won’t fruit. And then a thought for another time – I came across a series of articles called ‘make your life less oily in 2017‘. I need to read them carefully and reflect, and thing about what changes I might make myself. Very interesting though – fascinating to realise just how big a part oil and its derivatives play in all aspects of our everyday lives (not just energy and transport, but also food, clothes, possessions – just everything). 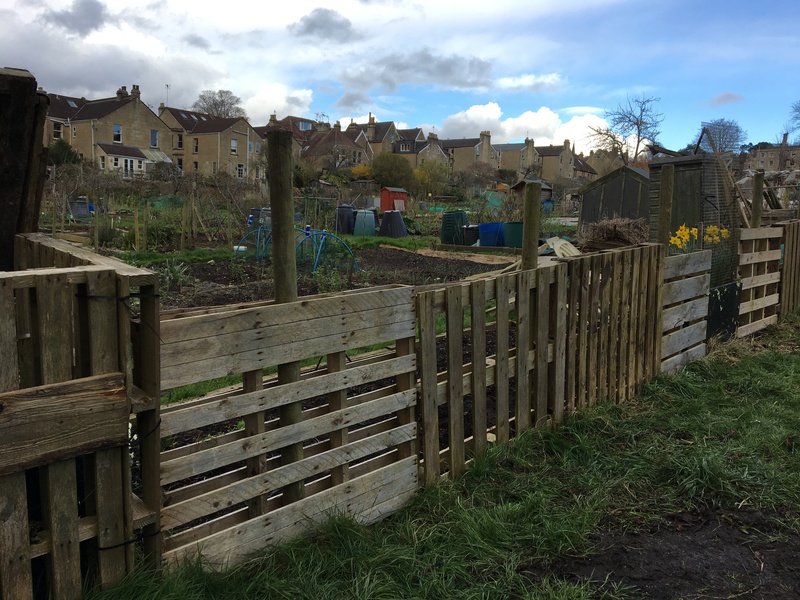 This entry was posted in Allotment, Climate change, Community, Inspirations, Local food, Reflections on life (and death), Seeing differently, Uncategorized, Whatever next? and tagged Allotment, Bath, Bath City Farm, Build community, Building peace, Community, Food, growing, Growing food, Listen, Living, Local, Local food, Look after the planet, Permaculture, Reflections, Shed, Take control, Transition movement, upcycling. Bookmark the permalink. On Listen … I think many of us (me included!) are problem-solvers rather than pure empathizers — I know I’ve done the exact same thing you did, on many occasions, and with the exact same results. I’m glad you were able to mend fences with your friend. On Take Control … Thank you for the links to permaculture and the transition movement — I will do some looking into both. I have many of the same questions you have about our food systems. I’ve often considered the fact that my from-scratch cooking and baking does not help the economy in the same way that processed or restaurant food does. And that my work in making all these meals and baked goods is not actually considered to be work, because I am not getting paid for it and am therefore not contributing to the country’s GDP or tax-base. And yet, it’s healthier for my family and easier on the environment. It’s quite a conundrum! (In my mind, at least!) I suspect we in Canada grow an even smaller percentage of our own food, and yet there too I see crazy things happening. Why, for example, when Heinz ketchup pulled out of a small greenhouse-heavy town in Southern Ontario, could that town not have gone to our largest grocery chain and said, Hey, how about we grow all your fresh tomatoes and then you can stop importing tomatoes from Mexico from fall to spring? I think you may well find permaculture and transition both interesting and inspiring – especially as they both embody essentially optimistic and hopeful ideas, and there are plenty of practical examples of both in operation. The whole oil dependency thing is so little understood generally I think. Thinking and reading about this links well with the Transition Movement, which I believe has its roots in ideas about the impact of Peak Oil (combined with combatting climate change, and empowering ordinary people). A refreshing alternative to doom and gloom! What an interesting post – and loads to think about, thank you! I’m glad you sorted things out with your friend. I, too, heard the interviews following the death of Martin McGuiness: I think all the participants’ responses said as much about them (and how they dealt with grief and injustice) as it did about him. Ironic, then, that the next day London was attacked …. Really interesting facts and figures about food and our (in)ability to feed ourselves as a nation. I read that at the outbreak of WW2 we imported between 60 & 70% of our food but by 1945 75% of our food was grown in the UK (not that I’d advocate another war to increase growth!) – but maybe Brexit (and the increased cost of imported food) may make us think differently, if we can afford to shop that way. Yes, and I think the ‘if we can afford to shop that way’ is going to be a crucial decider – my expectation is that most people will be financially worse off with Brexit, and the loss of the CAP (even with all its own issues) will make some types of food production completely unviable from a purely financial perspective (eg Welsh and other sheep rearing on hill farms). However, it is what it is, and we’re going to have to be open to seeing the opportunities as well as the problems to make this not be a disaster. Whist the ‘Blitz spirit’ can be overdone, you’re right that there are lessons there for us to draw on. I think we’ve all done that, leaped in with an opinion when actually the opinion wasn’t needed, just a listening ear. It’s hard though, when it feels like strong and differing opinions are being fired here and there – across work places and social media and family dinner tables – so much lately, and we’ve all got so much to feel strongly about. I think the idea of painting the shed black or dark grey with yellow window trim is an excellent one. and I now really want to visit Derek Jarman’s garden at Dungeoness. Oh do go to Dungeness if you get the chance, I’m sure you’d love it. We weren’t able to visit his garden, and despite the lack of borders wanted to respect the resident’s privacy, but it was lovely to see it all the same. But the magic of the place is way beyond just that, and the juxtaposition of the wilderness aspect of it with the nuclear power station felt strangely unthreatening. The shed plans are evolving fast – more of that in due course! Oh thank you so much! 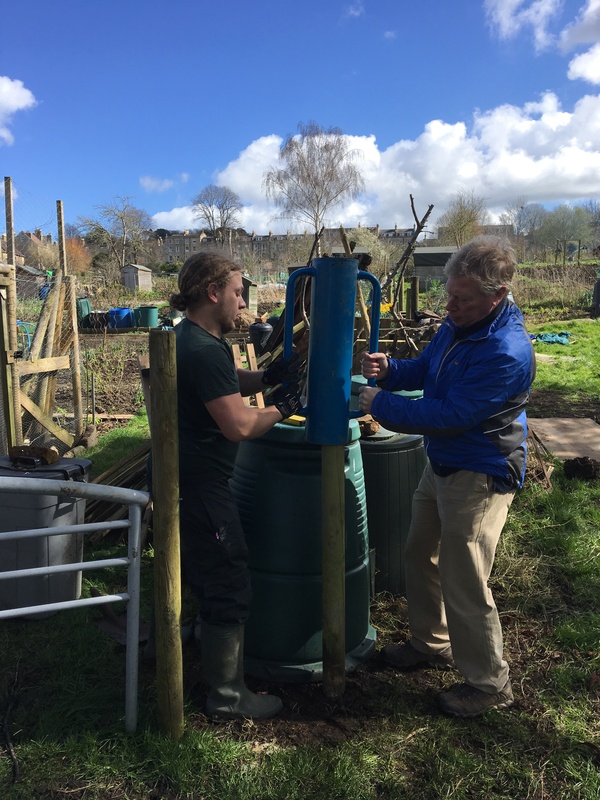 Let me know if you’re in Bath and fancy meeting for a coffee (or visit to the City Farm) some time…. Sadly I’m not holding my breath for a Bath without traffic anytime soon – none of the Cabinet members for transport live in Bath, they all rely on their cars to come into the city, and they really don’t ‘get’ that there are better options. (Though on second thoughts maybe holding my breath is exactly what I should be doing – we live near to a busy main road, though thankfully not on it).